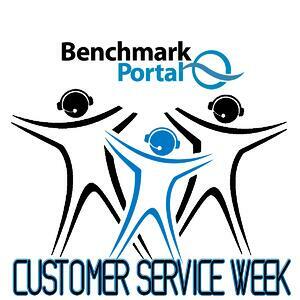 Are you prepared for Customer Service Week? Customer Service Week is October 1-5, 2018. Find opportunities to bring forth stories and experiences about customers. Find powerful ways to get your colleagues to put themselves in the customer’s shoes….and then knock their sox off with great service! Let me offer a few thoughts to make this year’s Customer Service Week a Success. While you want to pace yourself over the week, you also want to start strong. It is tougher to build up to a “meaning” by Friday of CSW than it is to start with a strong message so that people are focused and fired up from the start. One of the things we have noted in the Centers of Excellence we have certified over the years is that their managers are both good strategic planners and strong on execution. Use today to look at your center with new eyes. See if you are living up to your strategic mission statement - - and are actually delivering the level of service you should. Enjoy lunch with some of your agents and engage in conversations about great service. Immerse yourself in CSW and enjoy the rest of the week! Let’s put aside the notion that Wednesday is the notorious “hump day”, when some people are already starting to live for the weekend ahead, while putting the work week in their rear-view mirror. This is not the way you should experience Wednesday of Customer Service Week. Instead, find a way to make it wonderful – a great day on its own. An extra big smile, an extra warm greeting to your colleagues as you move around your center, special words of encouragement or praise for an interaction that fits the best standards of Customer Service Week - - all of these can make Wednesday of CCW a great day. If you put up a Customer Service Week banner, or made any of the other preparations I suggested in my previous article on CSW, be sure to refer to them and leverage them. This is hardly hump day. This should be hallelujah day. Make it so! TGIF - Thank Goodnes It's Fun! What if TGIF meant “Thank Goodness it’s fun”? What if you can make it so! As you bring Customer Service Week to a close, find a way to pass the spirit forward. You can give special CSW awards. You can have a team meeting in which colleagues highlight things they learned and pay tribute to their co-workers who helped them with important insights. Whatever you do, make sure CSW ends on an up note, with smiles and insights on great customer service. Just as you started the week welcoming everyone as they came in to work, consider being at the door wishing everyone a great weekend as they leave. And if the end of the week for you is Saturday or Sunday, then you can adjust accordingly. Think of some insight or action that had special impact this week. Share it with everyone in meetings or by email or flyer. It doesn’t have to be long – just inspiring and upbeat. Customer Service Week may be coming to an end, but great customer experiences should be getting better and better as you look to the future. CSW is an opportunity. Stop now and think of how best to take advantage of it. You may have received ideas on improvements and goals for your center. 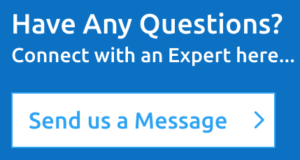 If we, at BenchmarkPortal, can assist you with strategic thinking, assessments, training, or any other topic, please let us know. We can work with you to ensure that next year’s Customer Service Week is even better than this year’s edition. Play “Trading Spaces” – This is one of Gessert’s favorites. Every year I interview him for NCSW and he always brings this one up. It’s a great exercise that an organization can do to communicate the value of the front-line customer service and support reps (or anyone on the front line) is to have executives take over their positions for a time, or at least spend some time on the phones listening in on the conversations. By the way, this is an excellent exercise that should be practiced throughout the year. Dress Up Day – Set one of the days of National Customer Week aside to let people do something different clothing-wise. Maybe it’s a casual day – or let employees come up with a theme that includes colors or uniforms. Maybe they dress in the attire of their favorite sports teams. The key is to have fun with it. Internal Recognition and Rewards – It’s always motivational for employees to be recognized for their accomplishments. Consider a town hall meeting and use it as an opportunity to celebrate the success of the organization. External Recognition – Consider taking the celebration outside of the company. Let your customers know about some of the people “behind the scenes” who deliver the service and support they need. The Power of the Pen – Executives and managers can take time to pen handwritten notes to employees. Many employees keep these notes. This type of recognition is personal, meaningful and gives the employees a sense of pride about who they work for. The Power of the Pen Part Two – The power of the handwritten note is not exclusive to leaders and managers. Provide a blank thank-you card to every employee and ask each of them to write a note to another fellow employee. This is peer-to-peer recognition and appreciation. Bring in an Outside Speaker – Many of you reading this article know I’m a professional keynote speaker on customer service, so you may think this idea is self-serving. But, it’s not. First, I would have started promoting my services much sooner than a couple of weeks before the holiday. Second, as much as I’d like to be that speaker, I’m going to suggest you bring in a customer or two to talk to the employees about the great work they are doing. Just call one or two of your favorite customers and ask if they would join you and deliver a few words at the kickoff breakfast or another time throughout the week. Recognize Your Customers – Even though we want to focus on employees, it’s still okay to shine the spotlight on your customers, too. After all, it is called National Customer Service Week!